There are a lot of different drivers for why we do what we do. Money, fame, fortune, there are as many different reasons as there are personalities in the world but for me, the reason is completely different. I do what I do because I've been to, lived and worked in enough developing countries and small tight-knit communities that I know what such a small amount of help can do for a group of people who otherwise wouldn't have access to that help - the joy of seeing those faces light up and feeling that heart felt, soul deep appreciation, is unparalleled for me and is something that money, fame or fortune can simply never replace or exceed the worth of. I grew up in a small community south of Perth, in Western Australia and if there's one thing a country upbringing teaches you, it's the strength that comes from giving back to and being part of an active community. I've worked in all corners of the globe and have seen what a relatively small amount of 'Giving Back' can do to a community who otherwise wouldn't have access to any outside help, so I decided to build it into my business model. Enter my regular commitment to Giving Back: my way of helping out at least one community every year. I also believe in fostering relationships with other organisations that 'speak our language' and I help a few different Partners and Affiliates as you'll see below. Every year, I knock on the doors of schools in communities that don't have access to governments who can provide them with excellent teacher training and professional development programs (like ours does in Australia). It's my way of “paying it forward” by volunteering my time and skills to a community in need of teacher training, curriculum development, or whatever their specific skill set entails. Some of the proceeds from The Library go towards these projects, providing much needed resources to teachers who otherwise wouldn't have them. Most of the cash though, comes from the Giving Back Journals; a project I've been working on now for over a year. Below is a run down of how the project runs. I've got enough stories to keep a road trip entertained for hours and so this is my mission - to translate the journals and the diaries, the blogs and the emails I've collected over the past 20 years into a series of short stories, which will eventually be turned into traditional paperbacks and audio books, narrated of course by the lead character - moi! Every story brings with it a healthy dose of giggle snorting and a life lesson of some description, carefully curated and written from the heart of what those experiences taught me. If I had a dollar for every time someone asked me 'so when are you writing the book?' I'd have enough to self publish this book 10 times over - so I'm mixing things up a bit and putting forward a proposal. Enter, the Giving Back Journals. 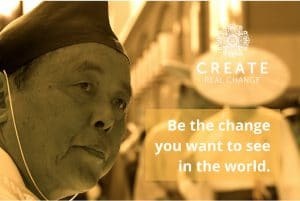 I promise a new chapter every month to all those who are contributing to the cause. Not only will you read the chapters as they're compiled, you'll also be gifted a paperback when it's published, and I'm promising that every dollar donated, goes directly to the resources that a school in need, needs - books, pens, hardware, software, whatever that school needs to create a better learning environment for their students. If I asked you what you think most schools, teachers and kids would need in developing countries, what's the first thing you'd think of? Books? Pencils? Teaching tools? Money? The answer this school gave me for the 2018 Giving Back Project might surprise you. Well. I've been working in developing countries most of my career and that realisation even hit ME fair between the eyes. It's the little things isn't it? 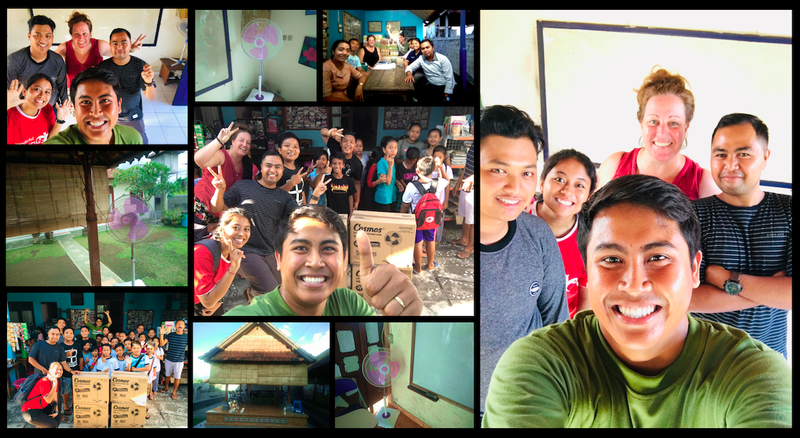 So thanks to the 11 patrons who have been donating monthly to the Giving Back Journals, we were able to purchase 4 fans and 2 classrooms worth of bamboo curtains - and the workshop I delivered was an absolute hoot - the smiles on these faces tells the story! If there's one thing I love, it's seeing initiatives in schools that are preparing the future generations for the kind of world that awaits them - and what better than building some entrepreneurial, on the spot thinking skills, than a Shark Tank competition? The Year 6 kids at St Michael's Primary School in Bassendean, WA, had to come up with a revolutionary idea for an app, and 'pitch' their idea to the sharks... one of whom was yours truly! Some great ideas, and some bright young sparks indeed! Always very happy to donate my time to a forward thinking school that is building entrepreneurial and negotiating skills in their youths. Thanks to Lacey Filipich from Money School and Maker Kids for spearheading the initiative and Darren Lomman of GreenBatch for being the other 'Shark' - a really inspiring afternoon! 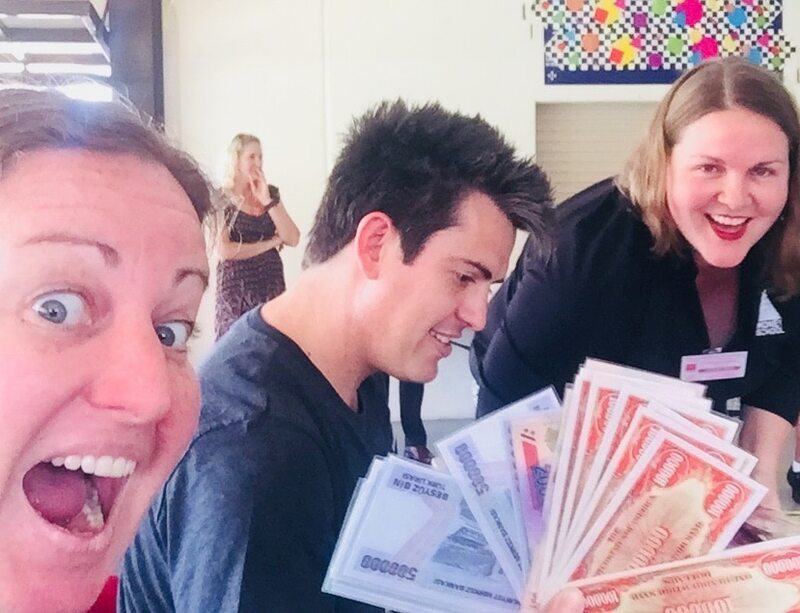 I was pleasantly surprised to see 80+ teaching staff turn up, during their holidays, to nut out the complexities of the English language and walk away with over AU$200 in donated resources and prizes. The Samoan people are an absolute hoot to work with, and this day was no exception. 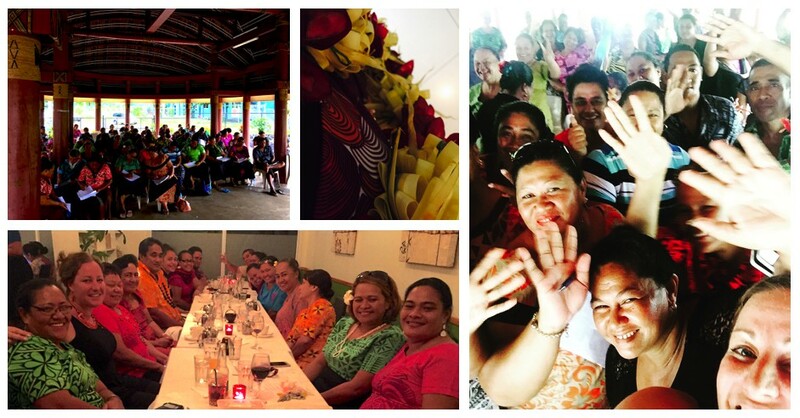 Faafetai (thank you) Samoa, for a phenomenal week - and I hope to be working with you again in the future! 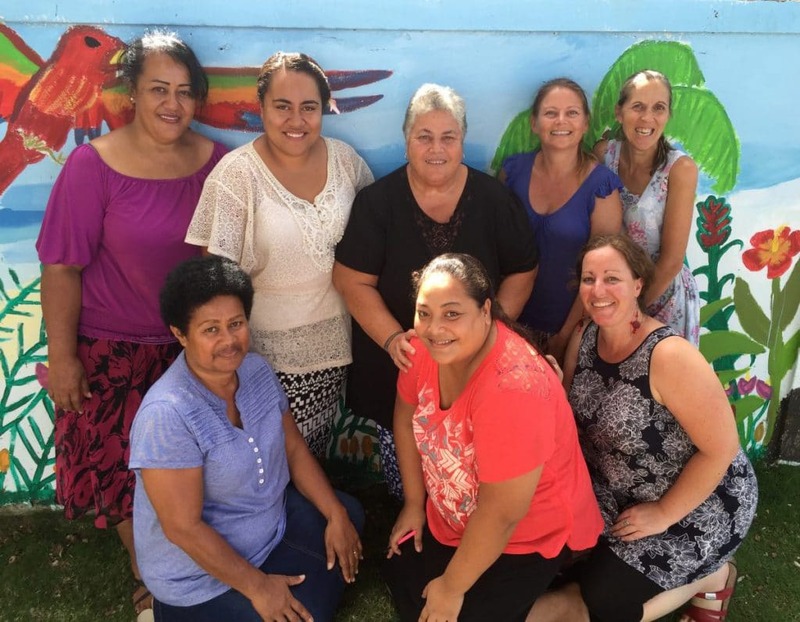 While on a working holiday in Samoa, looking after the children of a friend I met while working in Kiribati, I had the opportunity to deliver a fun, interactive workshop at a Primary School high on a hill, near the Robert Louis Stevenson Memorial. Great views, awesome teachers, we had a ball learning how to incorporate communicative, fun teaching and learning activities into everyday lessons. We learnt by doing - so yes, they had to pretend they were the students - go Team PawPaw for taking out the winning prize! The teachers let me know they'd started implementing them the following day and were met with resounding enthusiasm from the students - I also got the full, animated story from the kids that night so overall - I think we can say that was a success! 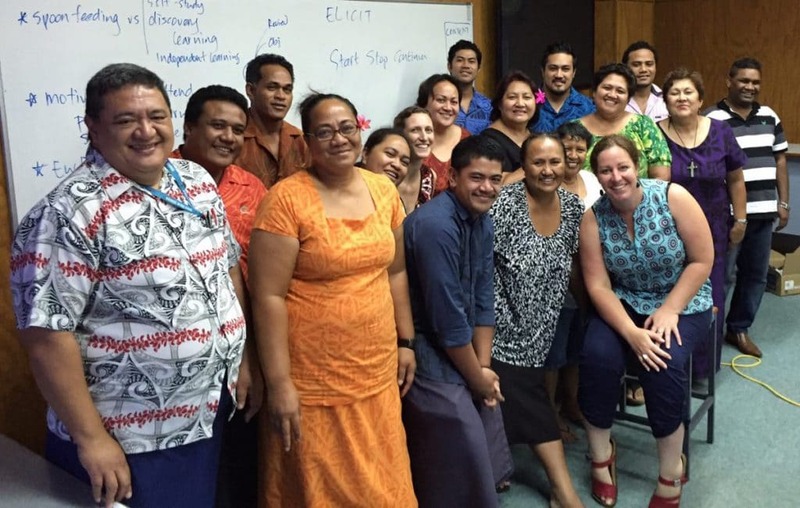 I had exactly one hour to convince the Education, Science and IT Faculties of the National University of Samoa that there in fact WAS a way to make boring lectures interactive and engaging, and subjects like Chemistry fun, inspiring and motivating. There were lots of laughs and in the final activity they agreed that yes, it was in fact possible and that they'd be applying some of the ideas they'd seen demonstrated in the workshop into their classes next term. Nothing like ending a workshop with laughing, joking and general merry making! Pacific islanders are a HOOT and this lively bunch were no exception! Teacher training and demonstration teaching for a small home grown school started by an ex-politician whose passion to teach English drew him away from a life in politics, and into a heartfelt school which has grown from his living room, into 4 classrooms and over 400 students. I had two sessions with the staff, where I took them through a way of looking at the tenses in English on a simple grid. Bahasa Indonesia doesn't really have tenses, so being able to see how they all relate to one another visually helps them explain the differences to the students much easier. We also had a session on creating activities out of thin air, with a few simple ideas that can be adapted into many different language learning opportunities. A friend of mine joined me for the 4th visit, where we got the whole school together for a spelling and vocabulary competition. We needed a long cool drink after that balmy evening! One of the teachers I met along my ESL teaching journey is Vicky (Vix) Harris, in Hong Kong, around 2008. She's the master artist behind my Create Real Change piece (read more about the art, and her artwork here) and when she told me about the project she was working on in Tanzania, I couldn't help but get involved. Vix has quite the history with Tanzania, her parents having lived and worked there when she was a child, then travelling there to volunteer in her 30s, and now this next part of her journey which you'll see outlined below. We decided that getting people to sponsor us to jump out of a plane would be a sensible idea (??) - and we raised over 1000 pounds in the process for the SEED Project. Project S.E.E.D stands for Self-sufficiency through Environmental Education and Development and is situated in the east of Tanzania in a small village called Zegero. It was founded in January 2014 and is run by James Obanda (Tanzania) and Vicky Harris (UK). Our aim is to educate disadvantaged teenagers and young adults about agriculture and farming so that they can grow their own fruit and vegetables with a view to becoming self-sufficient. We have also set up a community drama group and would love to start our own primary school in the future. We want to bring people closer together and provide education and support for those who have been affected by malaria and HIV/AIDS. You can find out more or get involved here, or join the Facebook page so you'll get regular updates on their progress. It all started here, in Kiribati. In 2011 and 2012, after not having much luck finding any portable (and customs friendly) souvenirs to take home, I decided to make some with the photos that I'd taken since being on the island. 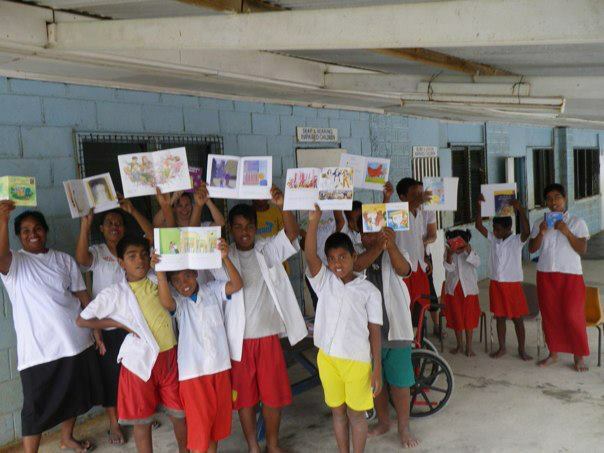 The calendars were so popular (the other 400 expats were having the same problem), that I decided to mass produce them and give all proceeds to the local School for the Disabled which at the time, was not receiving funding from any government or aid organisation. Instead of donating money, I teamed up with Tuli Stacey and Ann Clark, who at the time were the Australia volunteer teachers assigned to the school to help train the teachers of the deaf and blind students. 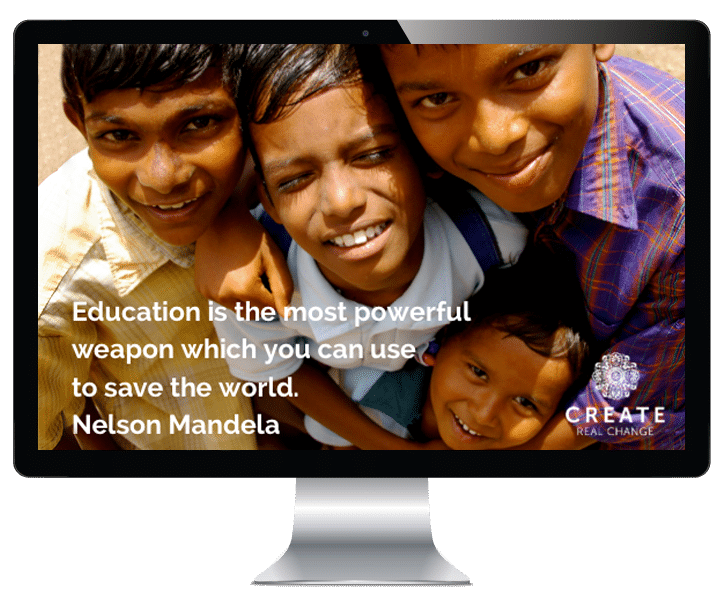 With their help, we choose a range of graded readers, audio discs and teachers books for the school, so that the teachers could learn how to use resources suitable for multi level classrooms. Ann created Braille versions of the books for the blind students, and Tuli helped the students create acted out 'sign' versions of the books for those who had hearing impairments. WATESOL, Australian Volunteers International and Roooar Magazine. WATESOL is the state industry association in Western Australia that advocates for students and teachers of TESOL and English as a Second Language or Dialect (ESL/D). I volunteered my time as the Vice President of this association from 2014-2016, and during that time helped WATESOL migrate to a fully digital membership system and online communication system. I was the MC at the international conference that we hosted in 2016, and also donated the Digest of the news, discussions, events and articles that are current in the world of TESOL and ESL/D, which is still part of the current membership benefits. I currently volunteer my time as a member of the General Committee. 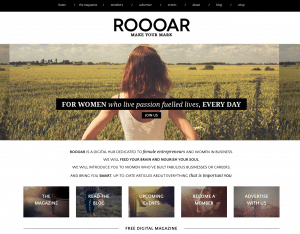 ROOOAR is a digital hub dedicated to female entrepreneurs and women in business. I'm very proud to be a member and to support their cause. Check out their free magazine and my profile page here.